It only took about 500 days to plan it. Eight of us sat around a dinner table in Dallas drinking great wine and, once again, the concept of taking a trip to wine country was broached. This time, however, the calendars came out. And we found ourselves about a year and a half later on a plane to Sacramento with a full agenda of wineries and food in Sonoma and Napa. To be in the middle of story – part of the action writing about my own experience – is always a different plotline. Aside from a media trip or two (or three) and the annual Wine Blogger’s Conference, usually I am telling another’s story vs. being part of it. 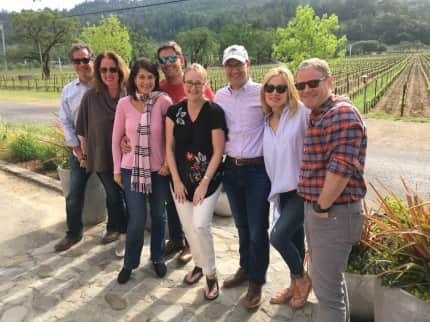 I rarely also use the blog as an entry to wineries, but I have found that after more than six years, these folks have become friends and it’s nearly impossible to decide who to visit. We started our journey in stages as work and travel dictated our friends arrive on different days and times. Four of us had a rocky start as our American Airlines flight was delayed … and delayed … and delayed. I knew we had a couple hour drive ahead of us before our two appointments and a dinner reservations. Throw in some crazy Sacramento traffic and we were in panic mode calling the wineries. You never, ever want to be late for an appointment – especially when arranged by good friends. Fast forward through the planes and automobiles scenario and we finally reached Comstock Wines. 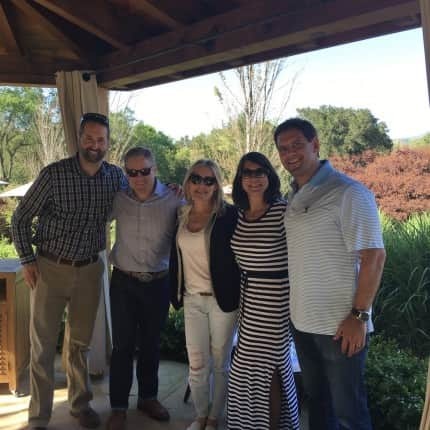 The winery was established with a vision to grow and source the best Sonoma County has to offer. It truly is a family affair. Bob and Sandy Comstock began growing grapes in Dry Creek Valley in 2002 and over time decided they wanted to start a winery, which opened in 2015. 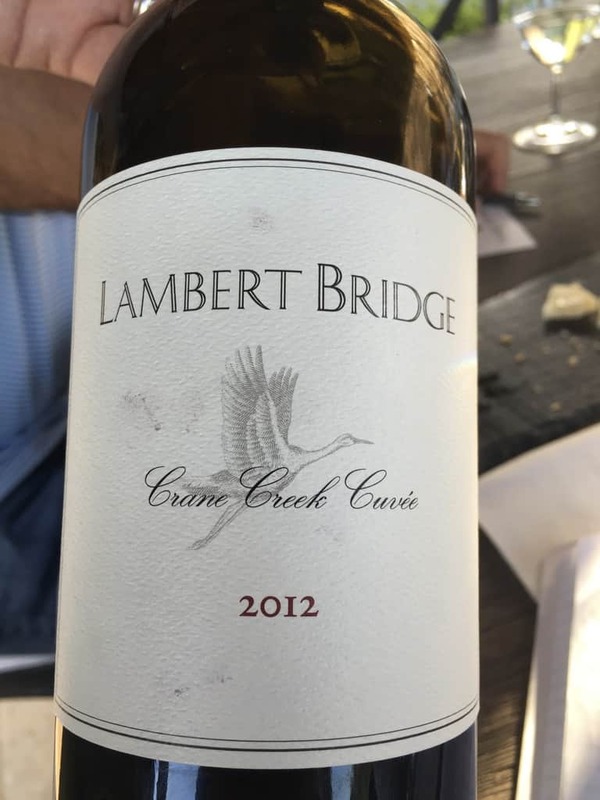 Our next stop brought us to Lambert Bridge Winery, which absolutely was an undiscovered gem to me. Lambert Bridge is located west of Dry Creek near its namesake bridge. Ironically the C.L. Lambert family settled at this property a century ago. And 60 years later, Jerry Lambert, who was not related, decided this was an amazing site to make wine in 1975. Fast forward to 1993 and Ray and Patti Chambers fell in love with the property. 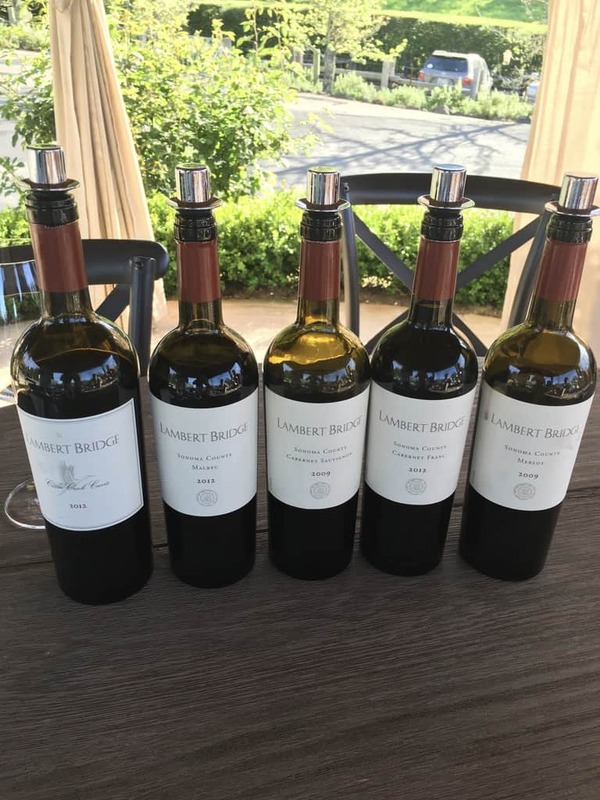 We met with Lambert Bridge’s Bill Smart, general manager, and Jennifer Higgins, winemaker. Jennifer talked about the story telling that goes into a bottle of wine. 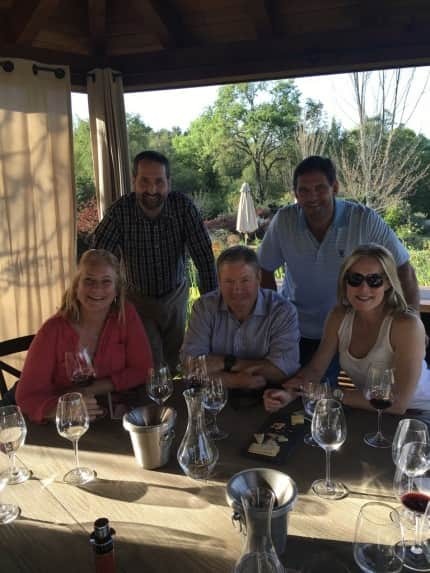 We talked, we drank amazing wine, we told stories and we were made to feel like family. On top of that we sat outside and had the most amazing view. 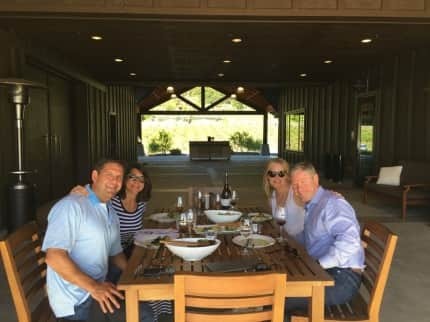 Jennifer talked about quality, the investment of the current owners, limited production (the winery went from 25,000 cases to 7,000 cases) and how involved she is in every step of the farming and winemaking. Jennifer, a Sonoma County resident, had a master plan of taking her biochemistry degree and going to medicine school. 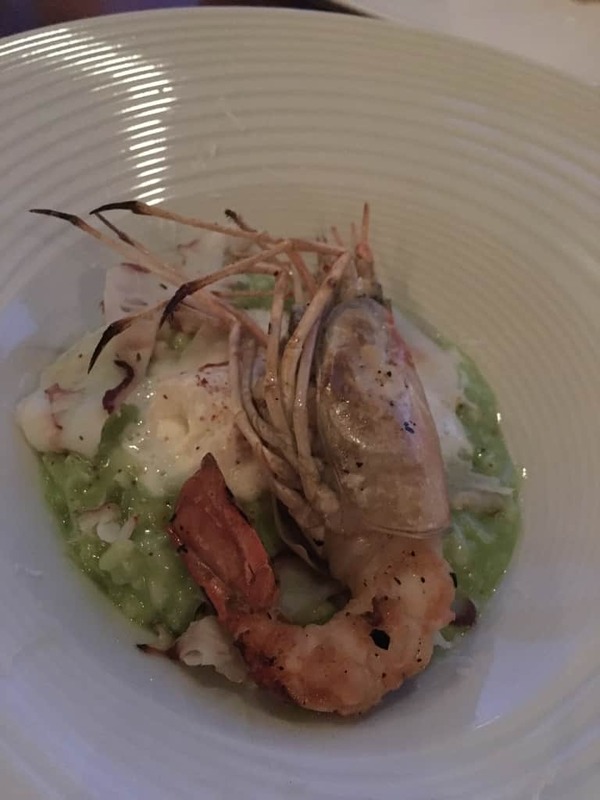 She moved to Italy for two years and took a tasting room job as she studied for her exam. In just a small amount of time, Zelma Long of Simi Winery, one of the iconic women winemakers, changed Jennifer’s mind about wine and a passion was born. 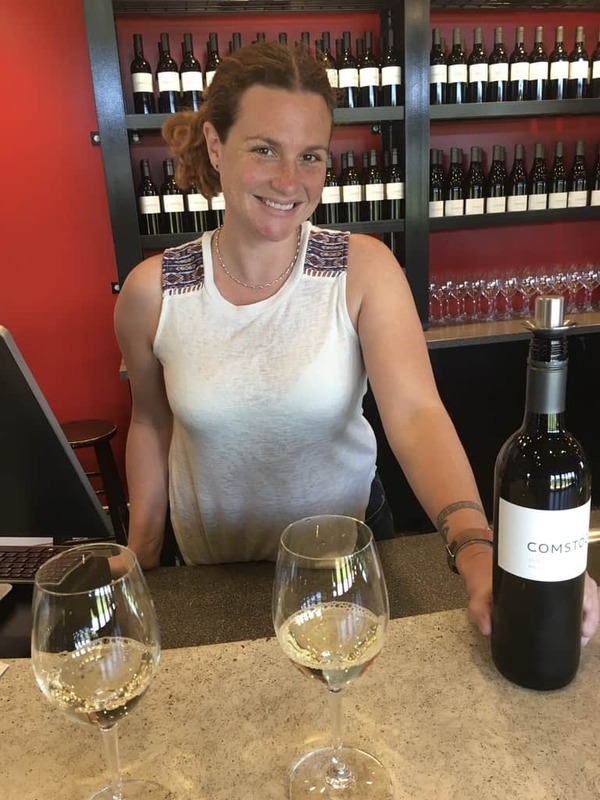 She talked about the “who’s who” in female wine makers that she’s worked with and it’s an impressive list from Helen Turley to Jill Davis. She now has become the mentor to other women and believes in the importance of paying it forward. 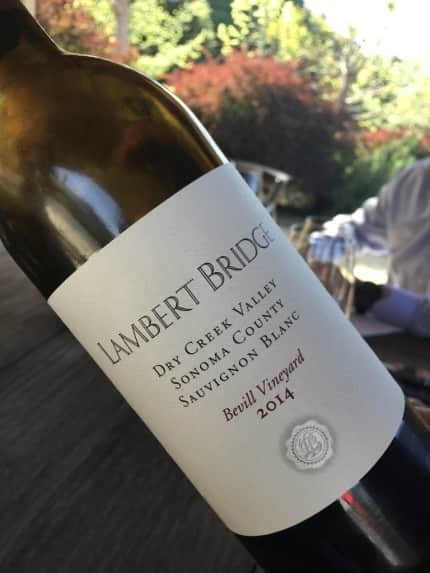 Lambert Bridge sorts every berry on every individual cluster and is very straightforward in its approach – “we make wine for passionate wine drinkers,” Bill said. 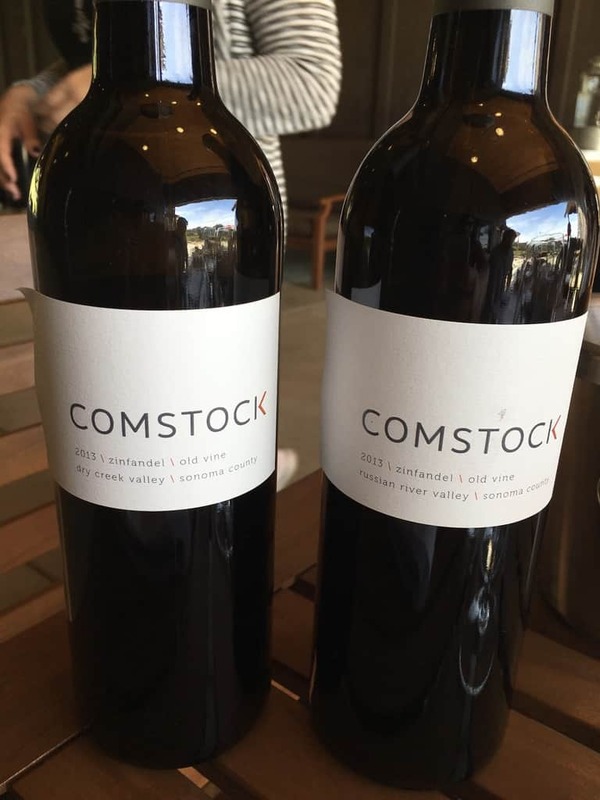 The winery sells direct to consumers and doesn’t submit for wine ratings. I tried twelve different wines and was absolutely blown away by every wine that I tasted. Our two-hour timeframe passed in the blink of an eye. The winery talks about family, milestones, passion and the importance of keeping a sense of place. It is a group of people that have never met a stranger that have a mission of sharing great wine with great people. 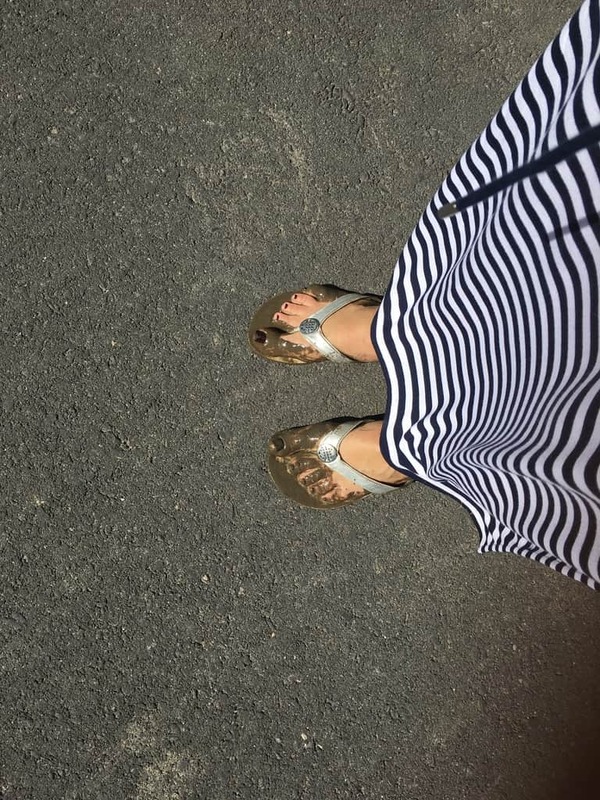 We left Lambert Bridge wishing we didn’t have another appointment so soon and went to unpack and change clothes at my uncle’s amazing chateau for the evening. 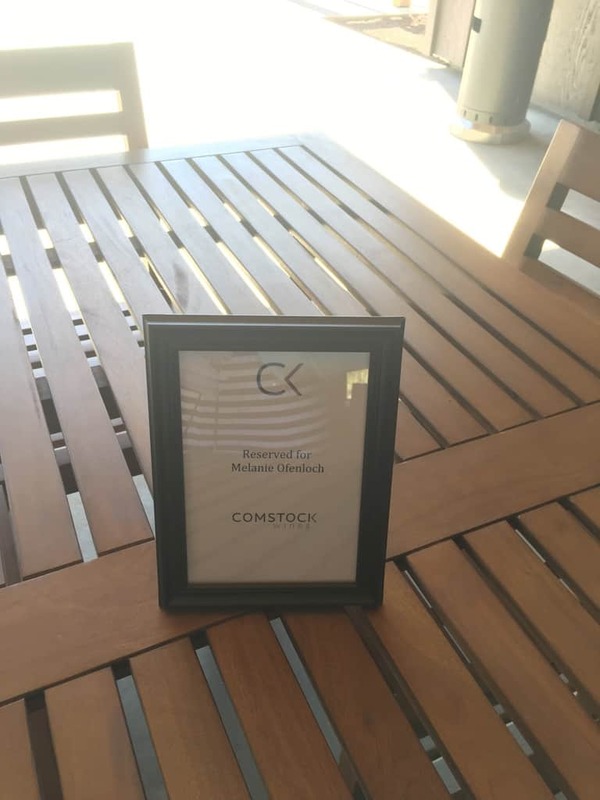 No detail was spared and I’m so blessed we were able to stay at this amazing property. 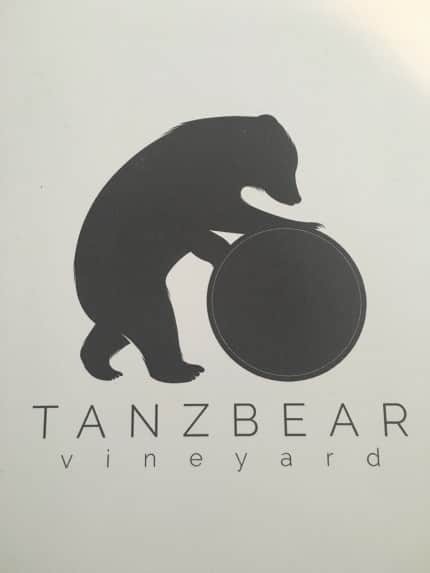 Watch this blog in the future as I will be writing about some of the Tanzbear wines that will come out of his vineyard. Our last stop of the night was at Valette to meet the amazing Lisa Mattson, the head of marketing for Jordan Wines. 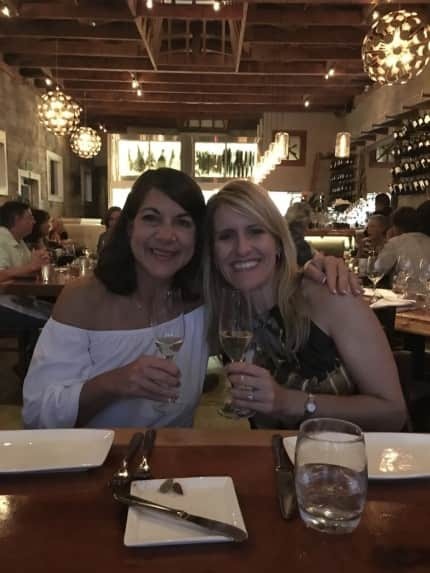 Lisa has always been a soul sister of mine and is one of the most talented marketing minds that I know. 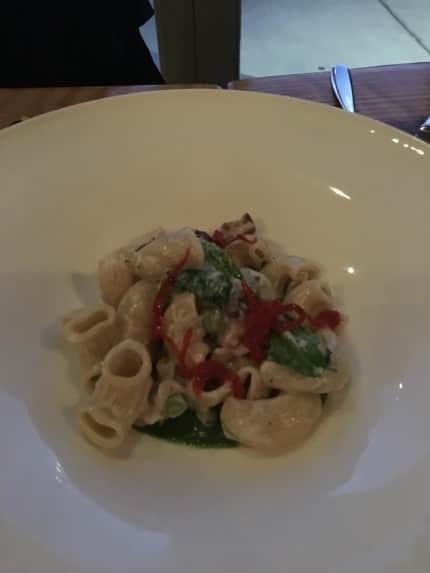 I’ll let the pictures speak for themselves, but this is a dinner spot in Sonoma that should not be missed. And that was just Day 1. Can’t wait to read about Days 2, 3 and 4! Great job, Mel. Love it! We need to place a Lambert Bridge order soon. 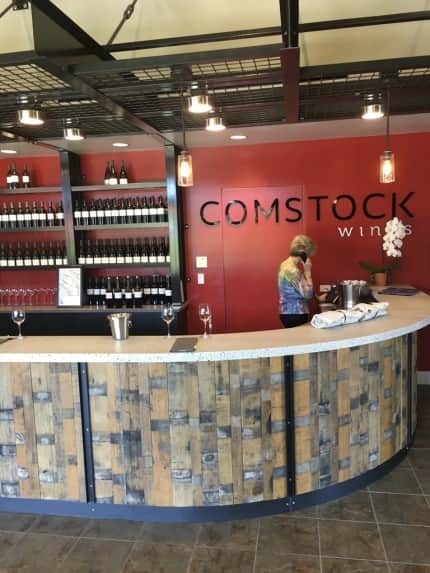 Enjoyed your article about your trip to Lambert Bridge which we have carri d and am now interested in the Comstock Wines. Looks like a key you rested you head at a later very chateau. Lynda, I am so glad you have the Lambert Bridge wines. I adored everything I tried. Let me know what you think of the Comstock wines.